How do you connect with high-capacity givers in your church who are not yet giving without appearing greedy? It’s right there in the Acts 2 account of the early church. As disciples are made, giving is a natural overflow. Generosity development in your church is really people development. Leaders need to look at the matter of generosity through the eyes of the giver instead of the staff, finance committee, or other leadership group. When you look through giver’s eyes, you will begin to see how you are actually discipling them by helping them grow their generosity and develop their giving. In Whose Offering Plate Is It? author J. Clif Christopher argues for real change when it comes to understanding generosity in the church today. He believes that leaders must speak in a language the congregation understands and be prepared to defend the cause to which leaders are asking people to contribute. Christopher believes that leaders must raise the bar of expectations and not make church “easier” than in days past. Effective communication in ways that today’s donors understand is a start. Accountability – so people will see how their money is being used – is the next step. The offering plate of today may be an electronic draft, a website click, a kiosk set up outside the worship center, or an app on a phone. Any way you do it, though, it is still all to be done for the mission of making disciples of Jesus Christ. 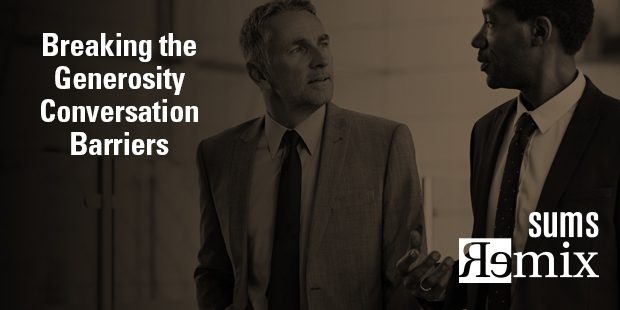 One of the most powerful tools a leader possesses is language. Yet, it is one of the most commonly overlooked assets in communicating generosity. Just think for a moment how influential language is in your ability to function on a day-to-day basis. Language directs, teaches, inspires, unifies, and instructs. When it comes to generosity language at church, it typically comes in a few different dialects. 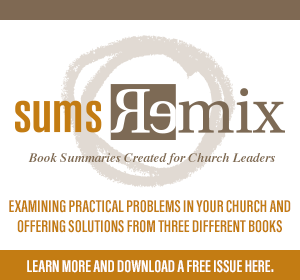 When pastors are uncomfortable with the topic there is silence and even light-heartedness. When there is a need it is usually communicated in terms of the budget, building, or crisis. However, you need to develop a generosity language of gratitude, vision and discipleship. We can’t have two masters, money and God. It is one or the other. The job of every pastor is to help God come out on top and to do that he or she must work faithfully and tirelessly to remove money from that position. Write Ten Thank You Notes Every Week – Start making it a weekly habit to thank ten people every week who genuinely deserve it. Thank people for faithfully teaching a class, taking kids on a mission trip, mowing the church lawn, and of course, giving generously. Start Using Generosity Stories in Worship Every Week – Begin using stories just before the offering by individuals who can share how Christ or the church has changed or affected their lives. Get Mission Focused – Push your church to define exactly what they understand the mission of your church is as stated by Scripture. Preach About Your Church’s Vision – Spend time in prayer and study on exactly what you feel God wants you to be doing to fulfill your mission. This sense of God’s call should become a sermon series where you seek to help your congregation understand the vision God has for your church. J. Clif Christopher, Whose Offering Plate Is It? Language is a free and powerful tool. Don’t be caught sending the biblical generosity message via a fool. Here are some ways you can begin to discover and introduce a healthy language related to generosity. Discuss these with your leadership team and begin to implement them. Tell a personal story about a money challenge you have faced. The process of how you worked through it should be human and identifiable by all. Provide an illustration from common culture about how people, companies, or organizations are living generous lives. It is easy to find stories today of unassuming people doing simple things to make a powerful impact. Remember, it is not about the size of the gift, but that it is relatable to life. Develop a series of messages based on the following top ten myths of a generous church. > False: They come in all sizes. Generous Churches are filled with rich people. > False: They are filled with growing people. Generous Churches are in the Bible Belt. > False: They are anywhere. Generous Churches are older and more mature. > False: They are changed, focused, and passionate. Generous Churches are growing rapidly. > False: They are consistently aligned. Generous Churches are only about numbers. > False: They are about impact. Generous Churches have a charismatic leader. > False: They are a led by a visionary leader. Generous Churches are in big cities. > False: They are where a generous leader is. Generous Churches have a large staff and budget. > False: They have a leadership pipeline and spend strategically. Generous Churches have small visions. > False: They pray and live boldly. Congregations that practice effective generosity keep first things first: they focus some of their best creativity, leadership, and energies on advancing their vision. Congregations with solid practices of generosity have a better chance of doing effective mission. The one advances the other. When your church focuses on generosity, you are serving people. 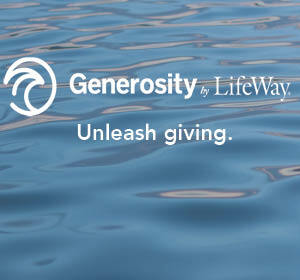 Understanding and developing generosity helps people develop their capacity and gift for giving.